Send unique Happy New Year wishes 2017 to man of God who has always guided you and motivated you about life. Start this year with positivity by sending Happy New Year messages to principal professor 2017 or your favorite religious leader who has made a difference to you with his teachings or guidelines. Begin this year by sending such a person a thoughtful wish on this special occasion. 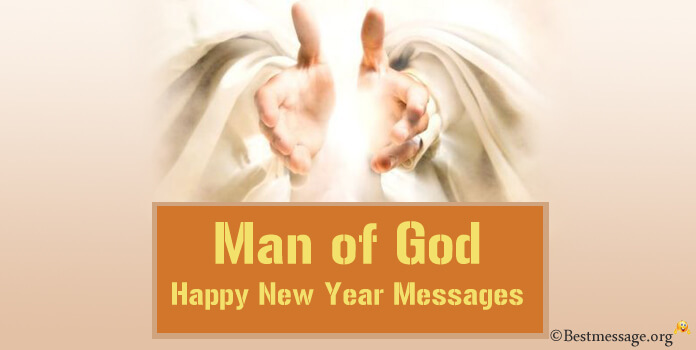 We bring to you a dew handpicked Happy New Year messages and wishes drafted for the Man of God, whom you always look up to for advice and help. 1. It is a New Year and a new beginning…. Thanks for your guidance and support in the last year and I will look forward for more of your advices and inspirational thoughts in the upcoming year… Wishing you a very Happy New Year full of prosperity and success. 2. Having someone in your life who is always there to help you, to clear your doubts, to make life simpler is truly a blessing… I thank you for every bit of mentoring you did for me to make my life better…. I wish you a successful and Happy New Year sir. 3. As we approach towards the end of this year, I would like to thank you for being such a great support to me… your teachings have helped me become a better person… Sending warm greetings to you and your family on the occasion of New Year 2017. 4. Dear sir, you are one person who has helped me find the purpose of my life and helped me have a meaningful life with a goal…. No words can express what you mean to me… I just want to pray for your healthy and happy life and a successful Happy New Year. 5. Every ending comes with a new beginning and I wish that this New Year brings more success, more prosperity, more happiness and more joy to you because you are very special to me… Thanks a lot for showering your blessings on me and helping me in every phase of my life. 6. Dear sir, you are my book, you are my knowledge… you are my guardian, you are my guru.. you have enlightened my soul and you have brought fortune in my life… I thank you from the deepest of my heart and I wish a wonderful and cheerful Happy New Year to you. 7. With all hopes faded and darkness surrounded me, you worked as a ray of hope which brightened my life with new colors and positivity… I thank you for being so generous and kind, for being a teacher to me…. Wishing you a blessed and beautiful Happy New Year. 8. Life is complete when you have a guru and finding you has brought me an opportunity to learn new things and become a better soul… I pray for your health and for your blessings on me in this coming year…. I wish you a very Happy New Year… May God always bless you with the best.